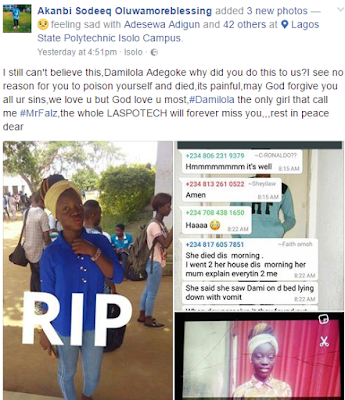 Friends of a student of Business Administration/Management at the Lagos state Polytechnic LASPOTECH, Damilola Adegoke, have taken to social media to express their shock over the news of her death. 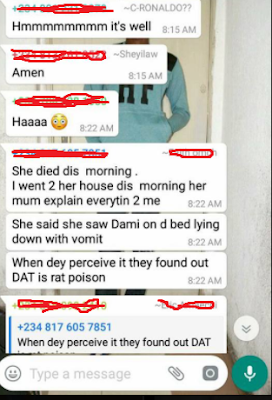 Damilola reportedly drank an insecticide known as Sniper. 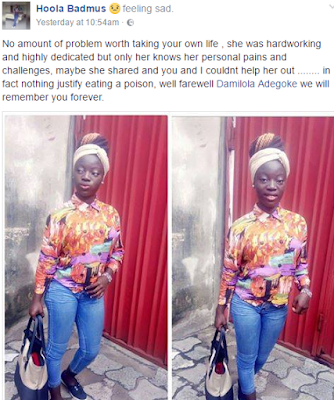 It is not certain what led her to take her own life. 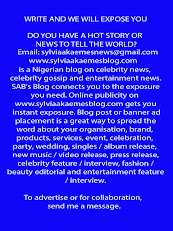 "No matter the circumstances, worries, troubles, disaster never look down on your self and always pray hard. 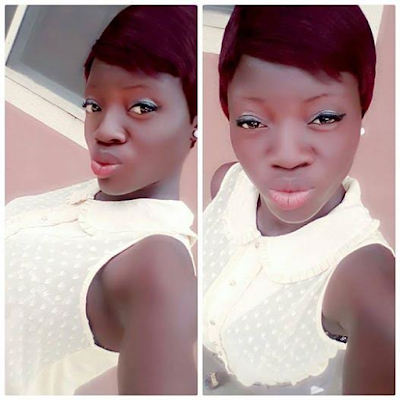 It's a pity this tight friend of mine Damilola Adegoke took snipper yesterday and gave up the ghost after uploading her pics on fb. 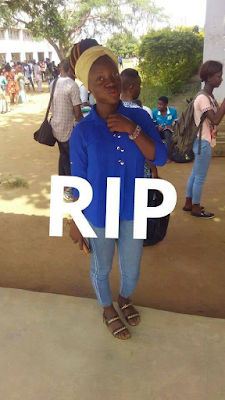 May her soul rest in peace". 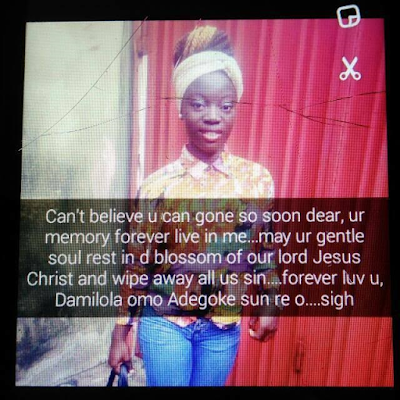 "No amount of problem worth taking your own life , she was hardworking and highly dedicated but only her knows her personal pains and challenges, maybe she shared and you and I couldnt help her out ........ in fact nothing justify eating a poison, well farewell Damilola Adegoke we will remember you forever".